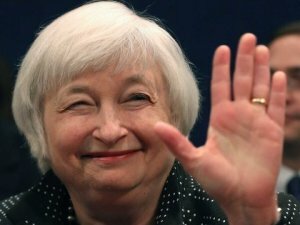 The Federal Reserve raised rates for the first time this year, a move that’s been widely expected for some time. They also signaled that rate increases are likely to continue through 2017, and most observers forecast three more quarter-point hikes by the end of next year. 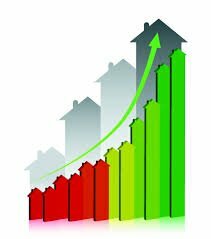 Let’s look at a the impact on a couple of popular options for investing in real estate. REITs (Real Estate Investment Trusts) invest in a wide range of income-producing real estate assets, and fall into two general categories: “equity” REITs that own and manage income properties; and “mortgage” REITs that lend (although some REITs engage in both). Equity REITs that focus on ground-up development to create their inventory of income properties are heavily dependent on financing. Rising rates will tend to hurt the performance of these REITs, though it probably won’t interrupt projects that are underway. Equity REITs that focus on acquiring and re-positioning assets can be nearly as capital-intensive, and will also feel some stress as rates rise. Expect new acquisitions to be delayed, and some projects may be canceled if they slip outside of underwriting guidelines. Mortgage REITs may be challenged because rising rates tend to decrease borrowing. If their business model is built on lending to equity REITs, don’t expect them to outperform. Other factors weigh on REIT returns. A REIT must distribute at least 90% of its income to shareholders, and without the ability to retain a significant amount of earnings, they’ll be less able to ride out challenging markets. And REIT yields over the last 15 years have averaged only 1.28% higher than the 10-Year U.S. Treasury note, which will make some investors wonder if the additional yield is worth the added risk. As always, the successful REIT investor will look carefully inside each potential investment for weaker holdings that may well drag yield downward. HELOCs will begin to reset. Stragglers who haven’t refinanced will start running for the train as it begins to leave the station. Some homeowners may be motivated to buy before interest rates get “too high” in their minds, but with rates still close to historic lows don’t expect home prices to surge (from a flood of panicky buyers) or sink (as higher rates start pricing buyers out of the market). Looking beyond, there are some recent trends whose impact hasn’t played out in the economy. Forbes is predicting a “mild rebound” for the 2017-2018 U.S. economic forecast. 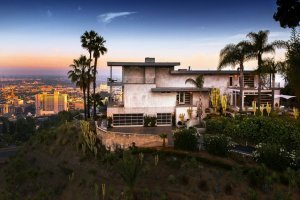 Delays in household formation, declines in home ownership rates, increases in multi-generational and roommate living arrangements, renewed interest in urban living, and demographic shifts) Some of these may be permanent changes, some may not. But the fact is that personal employment status drives most home buying decisions, not interest rates. And the good news is that further hikes will result from job growth mixed with moderate inflation (and population growth, of course) which will help fuel demand. But don’t forget that all real estate is local, which leads to our third option. Unlike most other real estate investments, DARE doesn’t place multi-year bets on a few large projects. DARE deploys investor capital on short-term residential rehabbing projects—typically 4-8 months—so it can adapt in a way a REIT simply cannot. DARE also prefers to fund projects that offer multiple exits. By underwriting projects that can be sold to a homeowner or an investor, DARE increases the likelihood of a quick sale, increasing yield. And higher interest rates make other forms of financing even more expensive, driving greater demand for DARE’s equity-sharing financing model. Don’t Panic! 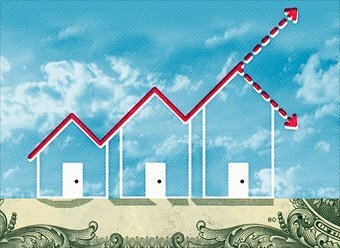 There’s no need to quit investing real estate simply because interest rates are rising. If you’d like to try reading the FOMC’s tea leaves in search of deeper meaning, try this article on Bloomberg.